Having bad credit is one thing, but getting a car loan while having bad credit is another. Your credit score has a big impact when trying to get a new car loan, as lenders usually look at your credit report before deciding if they will finance your car. Although some companies offer bad credit car loan, it is always wise to keep your credit score in great shape, especially if you are fond of borrowing from lending companies. This is because your credit score and report determines if you are capable of paying a loan back. People with a high credit score usually make their payments on time, thus, they have a high probability of paying their future dues before the deadline. And as a result, they rarely have issues with getting approved for a loan. Different countries usually have different types of credit scoring. However, on a general scale, people with 750+ as credit score are considered to have an excellent credit rating. 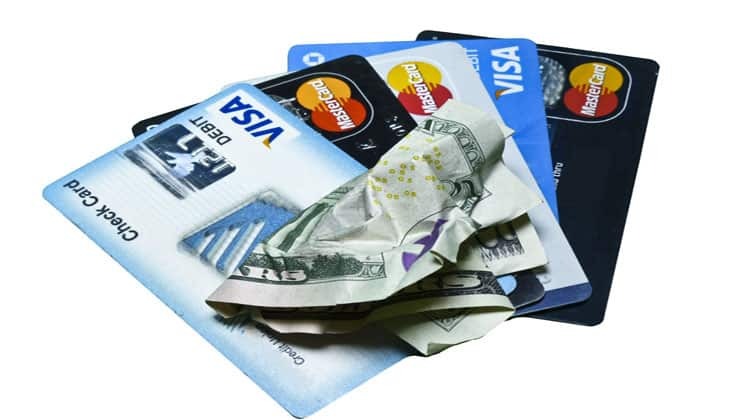 Individuals with 700 – 749 as their credit score are considered to have good credit, and those with 650 – 699 are considered to have fair credit. Those with 600 – 649 are considered to have poor credit, and lastly, the ones who have 600 and below as their credit score have bad credit. Always remember that these are not the exact numbers for every country and for every lender. Some lending companies have different definitions of what a good and bad credit score is, so always check with them. With that said, what an you expect when look for an auto loan while having bad credit? Lenders base your interest rate on your credit score and record, as well as your perceived risk. The higher your credit score, the lower your interest rate will be. They are always looking for guarantee that you can pay your debts and arrears, so people with a bad credit score tend to have a high interest rate. In addition to this, they might even ask for a bigger down payment, as people with a bad credit score typically poses a higher risk for the lender. If you have a good credit score though, chances are you would qualify for a low interest rate, or even 0% financing. Sure, there are car finance companies that can help you with getting a car finance, but still, your interest rate would be massive. Plus, you will have limited options, as not all would be willing to help you. Most will probably decline your application, especially if you have a very low credit score. It would be better to improve your credit score even before applying for a new car finance. So, how can you combat having a high interest rate and down payment? Here are 4 ways. This is a no-brainer, and is definitely the answer to your problem. Before obtaining a new car loan to pay, make sure that you have paid all, or at least paid most of your debts off. It will take a couple of months before you see an actual improvement on your credit report, but it is definitely worth a shot. Besides, you will be paying for it later on, so why not do it today? Having debts and arrears pile up can be stressful, not to mention the dent it can cause on your credit report. Credit repair companies are there to help you make your credit score better. They will advise you on what you should do, and what to do first. If you are totally clueless on what to do to make your credit score better, then go ahead and call a professional. However, always do your research, as there are a lot of articles online that you can read about increasing your credit score. This will save you a lot of money, money that you can use to pay your current debts. Think this over and if you need to, discuss it with someone you are splitting the bill with. Do you really need a new car or is it more of a “want”? A new car can cost double to triple compared to a used car. You will most likely save some money by getting a car finance instead of obtaining a new unit. Request for a copy of your credit report and check for any mistakes or errors. Even if you already know that you have a lot of debts and that your credit score is bad, it is still important to check your credit report. Look for errors such as things you have not purchased before. You can be a victim of identity theft, especially if you see a receipt of something you have never purchased before. If you suspect that something is wrong with your report, you can always report it to your local bank or government. So there is what you can expect when looking to get a car loan with bad credit and some ways to go about improving your credit score. At the end of the day, unless you are in a bind and need a car immediately, your best option is to work on improving your credit score. Doing this will improve your chances of getting a car loan as well as obtaining a more reasonable interest rate too. Start working on your credit score today, and believe us, you will thank us later! Good luck!